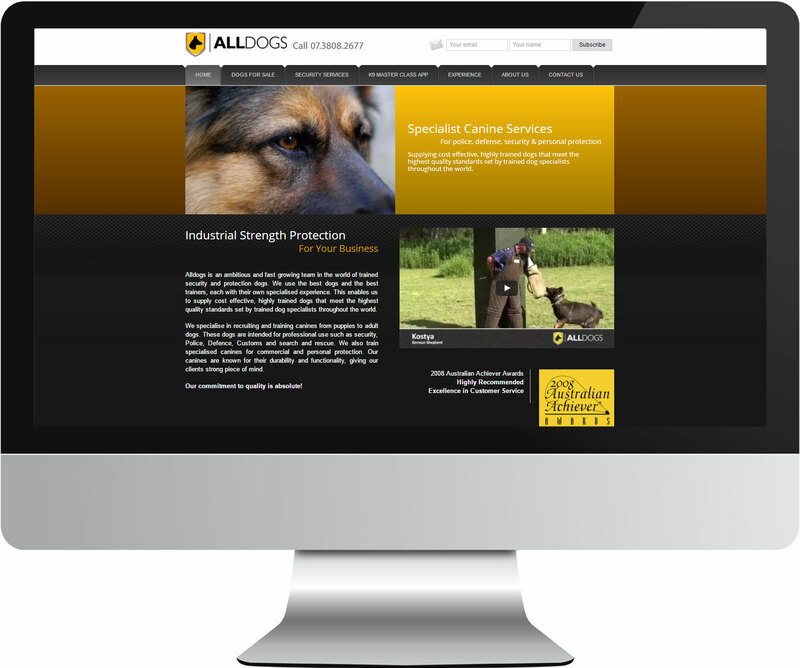 AllDogs Security is a specialist guard dog sales and training website by celebrity dog trainer Scott Donald. On this website you can purchase pre-trained guard dogs or engage Scott and his team to train existing dogs. It also serves to promote Scott's app 'K9 MasterClass' which is a great resource to train your own dog at home. The website was built using Drupal CMS and is responsive across all mobile device sizes and easily administered in the backend by the client.